This badge was issued to Travis Coats on 28 Sep 2018. 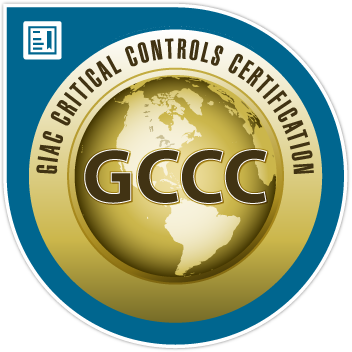 GCCC holders have demonstrated the knowledge and skills to implement and execute the Critical Security Controls recommended by the Council on Cybersecurity, and perform audits based on the standard. Professionals holding the GCCC make a practical and real difference in the security posture of any organization from a SMB to a multi-national corporation or governmental agency.